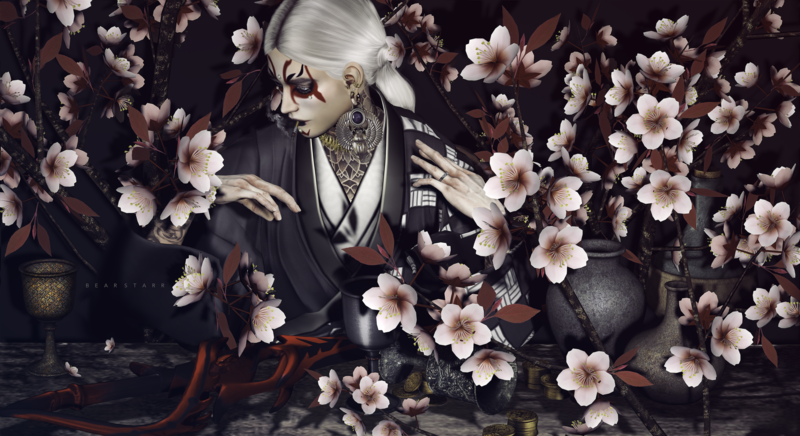 Opens on 30 March – 21 April 2019, NEO JAPAN is a bi-annual event featuring some of Second Life’s most established designers. * Rare Bengal Cat requires Animesh-compatible viewer for Second Life. * Baseball bat pose shown here via “rezzing” the object. * Lasso toy doll not included with bat. * 2 sheds used in this pic (concrete wall on left belongs to the facade of a second shed). * The Bear Claw hand pose, by Joe Stravinsky, customised from HOTDOG Unsettled Poses using FATE HAND POSER HUD. I GOT IT BAD. YOU DON’T KNOW HOW BAD I GOT IT. February 17, 2019 February 19, 2019 by Bear StarrLeave a Comment on I GOT IT BAD. YOU DON’T KNOW HOW BAD I GOT IT. * All other items on table listed further below.